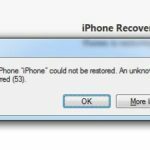 Many iPhone 6 users have been getting the unknown Error 53 on their device while trying to update to a newer firmware. There is no place to be found that describe what was happening and why this error even existed in the first place. 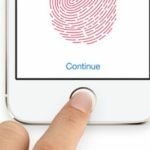 Not until today, when Apple decided to confirm that the mysterious Error 53 found on many iPhone 6 is associated with Touch ID and third-party repairs. The problem has existed for a long time now but Apple poorly documented about it and seems like the fix is still on its way. While we wait for further update and fixes from Apple, let’s talk about why this Error 53 appear when an iPhone 6 or 6 Plus user try to update their iOS firmware using iTunes. The error doesn’t occur automatically for every single user in these selected devices. You will only see Error 53 when the device has been repaired through third-party companies. Apple is now pointing fingers at unauthorized repairing services. In a nutshell, when you bring your iPhone to an unauthorized service and have them fix something internally, this will affect the Touch ID pairing security feature. As a result, whenever the device fails to pair Touch ID sensor it will shut everything down to avoid others from installing malicious Touch ID sensor and steal sensitive data. We protect fingerprint data using a secure enclave, which is uniquely paired to the Touch ID sensor. When iPhone is serviced by an authorised Apple service provider or Apple retail store for changes that affect the touch ID sensor, the pairing is re-validated. 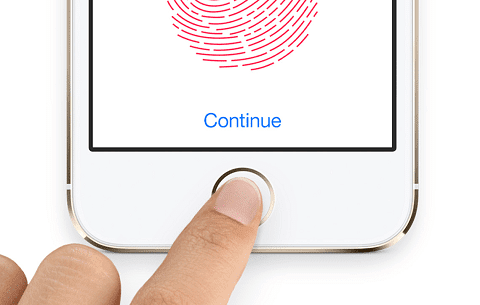 This check ensures the device and the iOS features related to touch ID remain secure. Without this unique pairing, a malicious touch ID sensor could be substituted, thereby gaining access to the secure enclave. When iOS detects that the pairing fails, touch ID, including Apple Pay, is disabled so the device remains secure. 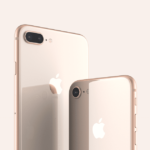 Although Apple clearly stated that Error 53 will occur when an iOS update is performed on the device that has been repairs via third-party sources. We’re unclear if it will have any effect on iPhone owners who just generally get their Home/Touch ID buttons or cable internally fixed.